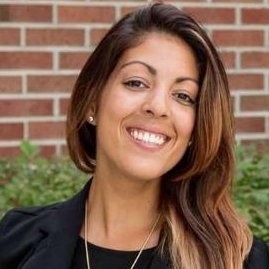 KAYLA GRAFF, co-founder and CEO of SweetBio Inc. in Memphis, confirmed she is raising $800K for her pre-revenue company, to advance the wound-treatment and guided tissue regeneration startup into first veterinary dental and subsequently into human wound therapy and dental markets. A SweetBio Series A raise of as-yet undetermined magnitude is likely to occur in 2H2019, she acknowledged. The company's offerings includes its MXTECH biomaterial manufactured using a collagen derivative (hydroxyapatite, HAp) and Manuka honey, which serves to keep tissue moist and represents a matrix or scaffold supporting tissue regeneration. The material resorbs in situ. MXTECH, which the company says is a novel product, is being commercialized first for veterinary dentistry, as Melimed Bend. That product's trademark application (87685562) describes prospective usage. The three-year-old company previously raised $2.2MM from institutionals Innova Memphis, MB Venture Partners and The JumpFund; Angel investors including Richard Smith, CEO of FedEx Trade Networks and Hilliard Crews, Memphis entrepreneur and namesake of the Crews Center for Entrepreneurship at the University of Memphis; and, from friends and family. Innova Memphis President Ken Woody today said as an incumbent investor his firm is naturally reviewing the Seed-round option. He added, "So far, we've backed everything they've done" and his firm remains "very impressed" with the SweetBio team and its gameplan. While Innova Memphis portfolio company Bionova Medical offers products related to wound management, Woody said he sees little immediate synergy between that and SweetBio. Asked about competitors, Graff said Medihoney is the most recognized Manuka honey brand. The global license for Medihoney was acquired in 2017 by New Jersey-based Integra Life Sciences when it bought Derma Sciences, which previously held a crucial global license for Medihoney supplies from New Zealand-based Comvita. Notably, in 2016 Derma Sciences had acquired Memphis-based BioD LLC. 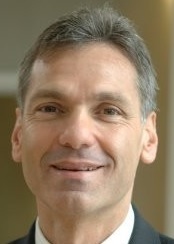 Memphis-based med-devices entrepreneur Russell Olsen was CEO of BioD at the time of the Derma Sciences transaction. Reached today by Venture Nashville, Olsen confirmed he is standing-up a new medical devices company -- Triad Life Sciences -- and is simultaneously raising capital and preparing for market entry. He confirmed wound-care is one of his targets and that he will take some products to market later this year. He said he currently has no interest in honey-related products, such as those that SweetBio is pursuing. Both Graff and Olsen confirmed they communicate regularly about the industry and their respective companies' roles. Olsen declined to provide details regarding his own capital-raising efforts, but he acknowledged that he has advanced to a Series C offering and has both institutionals and high net worth individuals aboard as investors. During the past 18 months, Olsen's limited SEC filings suggest that, prior to beginning his journey through the letter-rounds of capital, he had raised at least $2.8MM of essentially seed capital. The actual money-in is apparently substantially greater. Associated with Olsen in his most recent filings were Donna Best, George White and Kevin Foley MD, all veterans of the medical devices arena and/or advisors, thereto. Attorney Mark Jenkins of Durham, N.C.-based Brinks Gilson & Lione today confirmed he is Triad's outside counsel. Graff made clear she keeps her eyes peeled for moves by all entrants. "We are incredibly conservative, so we do view everyone as potentially disruptive in the space." She added that her team is continually gauging market response to the company's value proposition and tends to "view everyone as a potential competitor," she said. In 2015, then-San Francisco-based Graff and her brother, co-founder and Chief Science Officer Isaac Rodriguez PhD were among participants in the 12-week ZeroTo510 medical-device accelerator in Memphis, during which they declined a coveted invitation to join Y-Combinator in the Bay Area, due the edge they perceived Memphis having in the medical-devices sector. The startup was also in Launch Tennessee's 2016-17 The TENN accelerator. 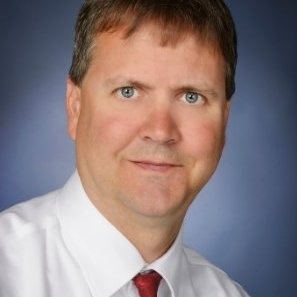 The company's third cofounder is Gary Bowlin PhD, co-inventor of its technology. A Bowlin patent record is here. Bowlin is a University of Memphis Professor and holds a chair of excellence in the Herff College of Engineering. 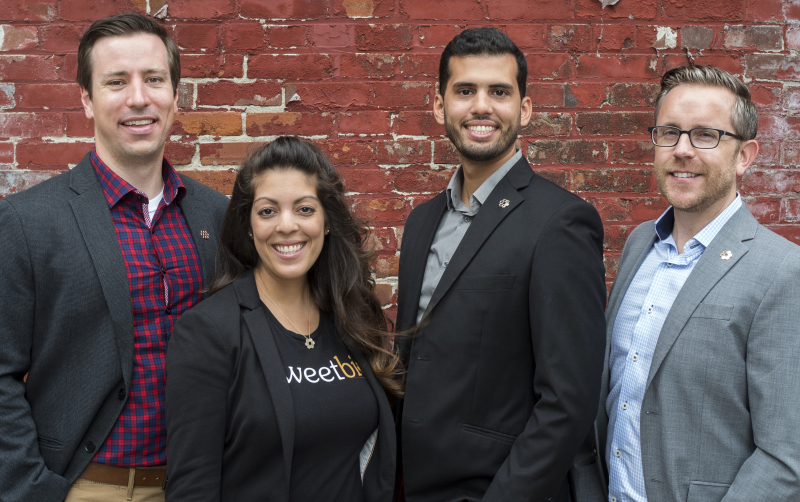 SweetBio's COO and "employee #1" is Axel Strombergsson, who was previously associated with Vanderbilt University technology commercialization, among other pursuits. Memphis is generally viewed as ranking second only to Warsaw, Inc., in terms of concentration of medical device technology and manufacturing enterprises. Graff said that in Memphis she has found medical-devices companies and talent individuals that offer both encouragement and deep industry experience. She believes Memphis should work hard to preserve its stature in the industry. In keeping with that belief, Graff said she'll be demonstrating her own support for Memphis entrepreneurship by attending this week's Demo Day at the city's Halloran Center, an event that anchors the city's "Summer of Acceleration." The startup's advisors include attorneys with both Baker Donelson in Memphis and with Bradley Arant in Memphis. Graff is also advised by Charlotte-based Kapstone Medical LLC. Its outside accountants are Elliott Davis Decosimo. It banks with IBERIABANK. Graff was born in Fredericksburg, Va. In 2014, she earned her MBA from Hult International Business School, SFO campus. Her 2008 bachelor's in entrepreneurial studies and marketing is from the University of Minnesota.